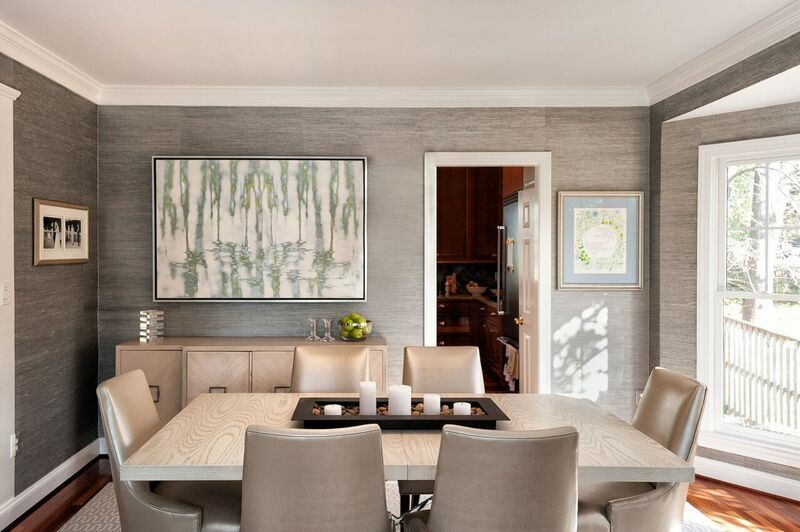 Debby Cooper of DC Interiors shares a bit about her design inspiration and philosophy in this brief interview with our galleries. Debby’s passion for improving the lives of her clients through thoughtful + innovative design is contagious. Enjoy learning more about her approach to creating a space. Learn how she incorporates artwork into each of her unique designs to further her aesthetic, while providing a thought-provoking and intriguing focal point in the room. DC: The bottom line — I love making people happy. Creating spaces that reflect a client’s taste and fit their lifestyle is essential to being a successful interior designer. When clients walk into their homes, they should feel comfortable in their space and proud of how it looks. Clients are often too busy to shop for furniture in their limited spare time, feel overwhelmed by the prospect of decorating, or simply can’t envision the best use of their space. That’s where I come in. I spend time with each client — asking questions about how they intend to use their rooms, the look they want to achieve (if they know), what colors they like and dislike, and how kid- and pet-proof their furnishings need to be. 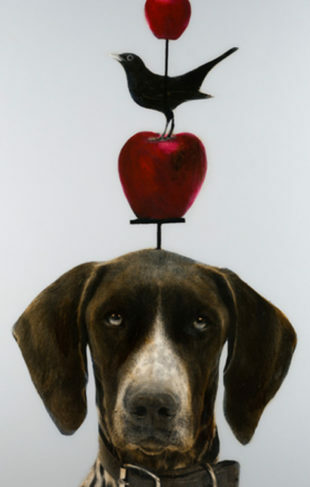 When clients are truly satisfied with their personalized design, so am I.
Weaser, “Wander,” Mixed Media on Panel, 40 x 60 in. What is your design philosophy? DC: My philosophy is that every design should be “Simple, Timeless, and Yours.” Whether you have a traditional, transitional, or modern home, simplicity is the key to a sense of serenity. Clean lines and uncluttered spaces derived from classical ideals and proportions. Good function was emphasized by mid-century modernists, like the Bauhaus movement. Combining clean lines and functional pieces creates peaceful spaces where clients can relax and recharge from their busy daily lives. In this market, clients don’t usually want traditional designs with fanciful scrolls, heavy drapery, and ornate fixtures. Nor do they want uber-modern rooms that feel cold and unwelcoming. Staying true to the architectural elements of each home, I try to tailor the look of the furniture to satisfy the client’s taste and be soothing at the same time. My tag-line is “Improving your world, one room at a time. . .” and I take this mission seriously. My goal is to improve each person’s life through design. How do you incorporate art into your design? DC: I grew up surrounded by modern art and architecture, and have always considered artwork to be the highlight of any space. In general, I try to keep colors and lines simple and soothing, so that the artwork can truly shine. Rooms simply seem unfinished until the art and accessories are in place. Of course, paintings and sculptures have an emotional impact. They can be thought-provoking, intriguing, and inspiring. Great furniture should be the backdrop for great art.